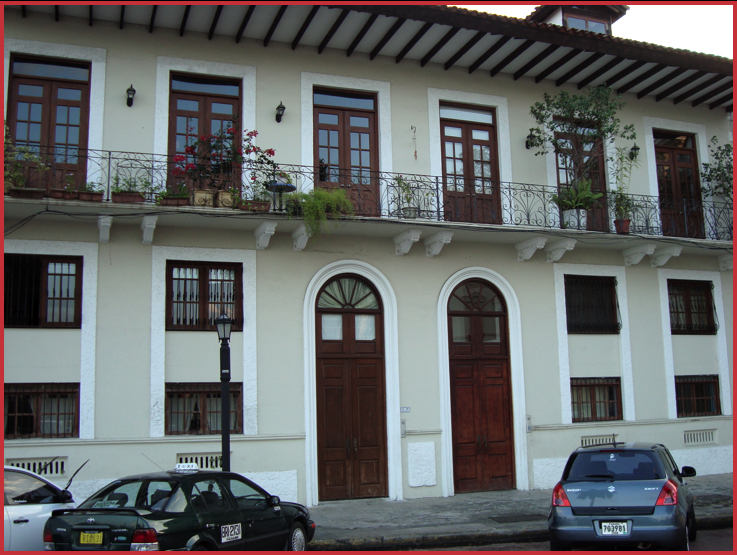 A while back I did a “note” about the doors of Casco Viejo. Today I want to show you what we think is the most important door in the neighborhood. You might also remember that I had briefly mentioned that Jane and I were busy with a little project and offered that as an excuse for the lack of posts lately. 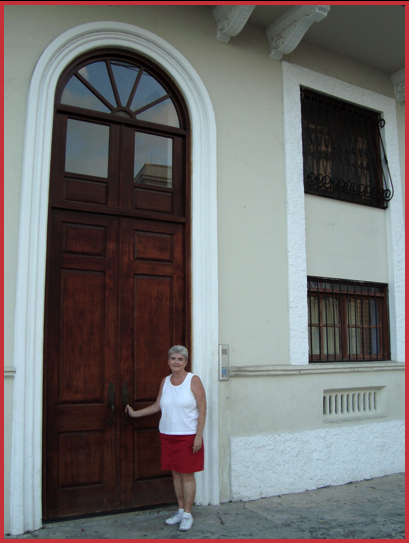 Well, the “project” and today’s door offering are related - Jane is standing in front of the door to our home we just purchased in Casco Viejo. 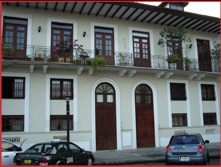 It’s a two bedroom apartment on Avenida Central just a few steps away from our current rental. Looking at this picture (don’t forget to click to see a larger view) the lower four windows to the right are ours. The balcony belongs to our neighbor upstairs. After you enter through those big front doors (that’s not an optical illusion, they are BIG) you are in a common entrance hall for the four apartments on our side of the building ( a single family lives on the other side). The building is over a hundred years old, but the little wall you see just outside the door to our apartment was a part of the stables for the Convent of Santo Domingo that was originally built in 1678. We’ve got two more of these very old walls INSIDE our apartment. 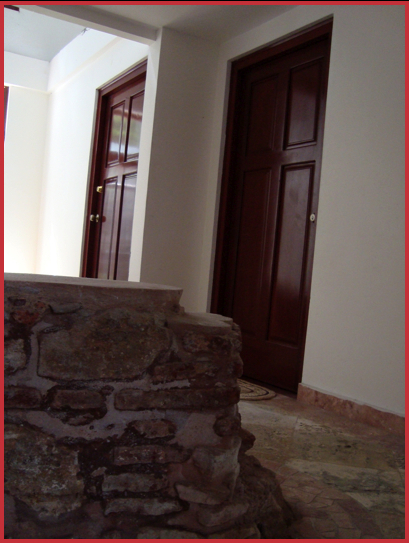 Once you get inside, we have two bedrooms on the first floor and the living/dinning room and kitchen on the second floor. 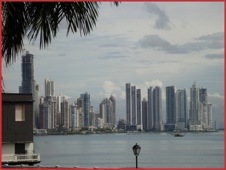 The reason the living space is on the second floor is so we can have this view from our living room. Once we get a little of our interior painting project done (pink and bright yellow, just wasn’t doing it for us) we will get additional pictures posted so you can get a better feel for the place. We’ve also got a new kitchen in the works so we won’t be moving in for a couple of months - that’s if “Plan A” works, a rarity in Panama. Needless to say we are excited. Will keep you posted. Take care.